Even with slow fishing, some of the Bosch Boy are trying. They go down on the river to one of the shanties for an hour or so after work and most evenings there isn’t much going on. 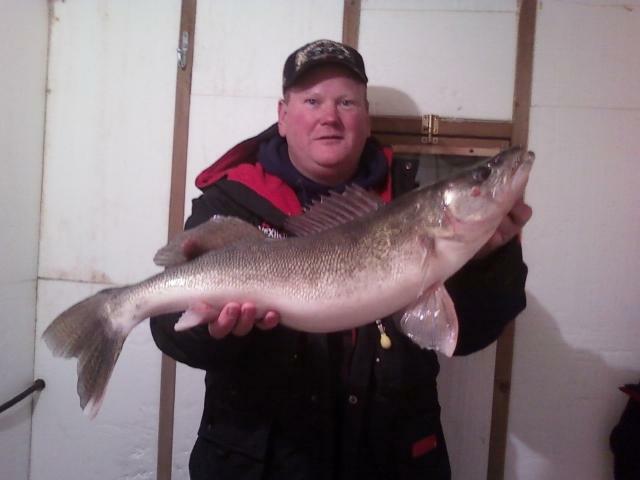 Tuesday, however, the guys caught four; three eaters and Jeff caught and released a 28-1/2″ walleye. Bragging rights for the entire year go with the largest walleye caught during the winter test season and Jeff’s is going to be hard to beat.